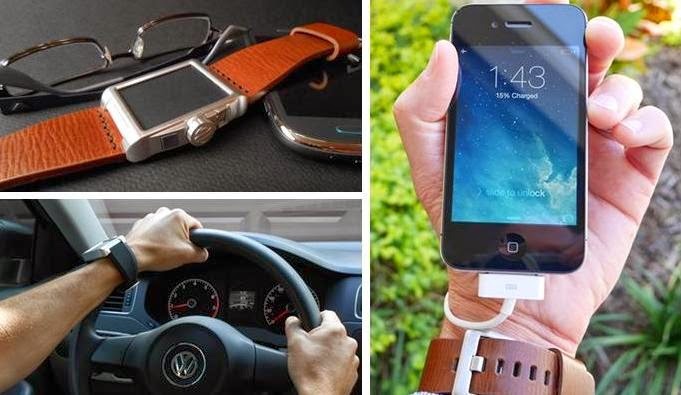 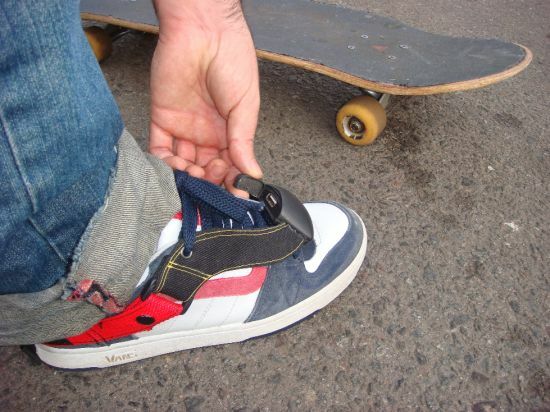 Collection of 'Cool and Innovative Wearable Rechargers' to juice up your gadgets on the move. Carbon Wearable Solar Recharger: Carbon is a high tech wearable solar recharger and an analog watch; it recharges your iPhone, Android and other mobile devices on the go. 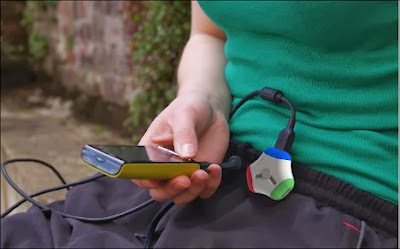 Wearable Power Source: This wearable recharger provides the needed extra juice for your devices on the move; it wirelessly syncs with your device via Bluetooth, alerts you about notifications and even let's you page your phone when you've misplaced it. 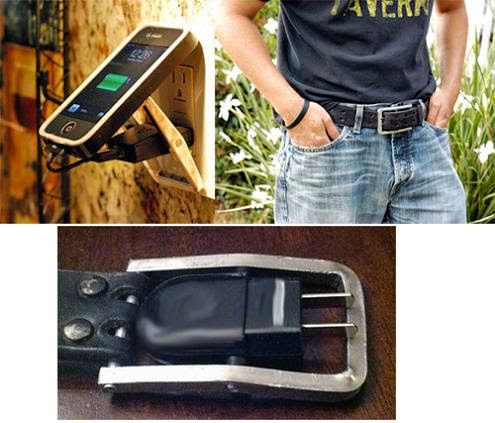 Volt Buckle: The buckle comes from the belt, can be plugged into the wall and acts as a recharging dock for your smartphone. 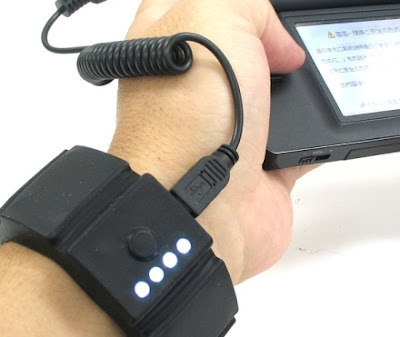 Bracelet Recharger: It's a USB recharger that can be used anytime, anywhere. 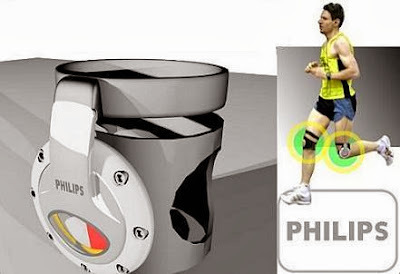 Kneemounted Power Generator: This kneemounted power generator recharges your MP3 player by transforming the kinetic energy into electric power. 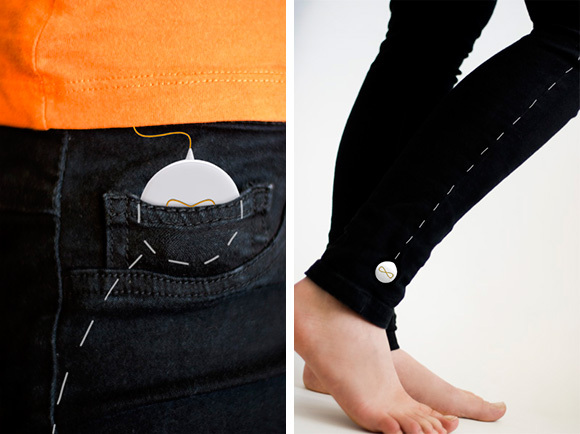 Kinetic Recharger: The Kinetic Recharger designed by design student Toby Blake uses your own footsteps to recharge your gadgets. 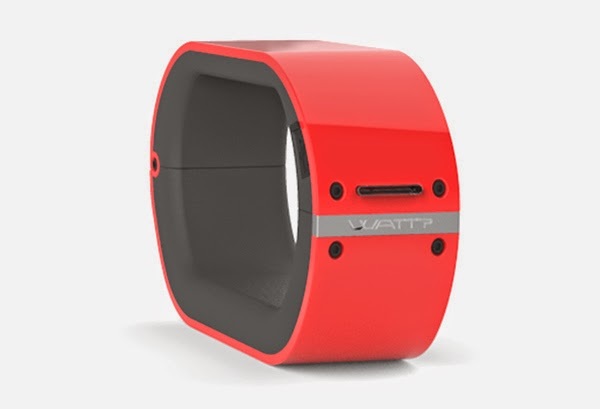 Kinetic Energy Ankleband: The Kinetic Energy Ankleband is a device to store energy by just moving; doing sports, exercise, dance or just walking. 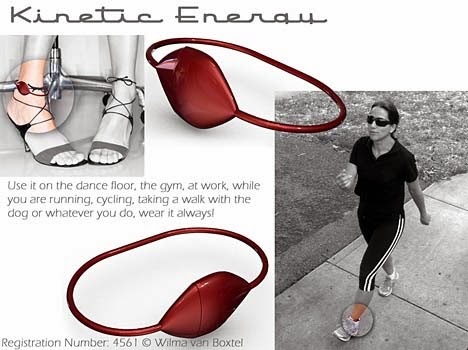 Kinetic Energy: This Kinetic Energy recharger designed by Soledad Martin, straps onto a shoe and while your walk, jog, or hike; the kinetic energy you generate from your activity gets transferred into stored power. And when you need to juice up gadgets, just attach the USB cable from the device to recharge them. 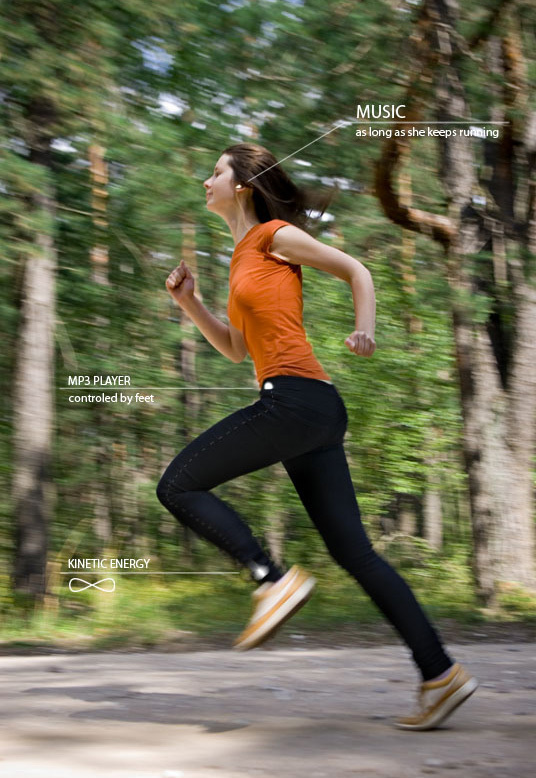 Dancepants: A brilliant and innovative concept that uses kinetic energy to generate the power for your MP3 player while running and dancing by Lithuanian designers Inesa Malafej and Arunas Sukarevicius. Orange Dance Recharger: This is a portable phone recharger powered by kinetic energy. Solar Jacket by Indarra DTX: The solar jacket from Indarra comes with a dismountable and semi-flexible solar panel; it stores the power and can also power your personal devices like smartphones, iPods, MP3 players, PDAs, digital cameras and more. 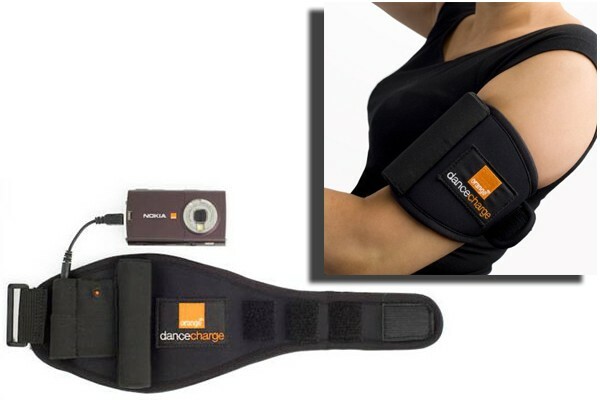 More importantly it comes with a stabilizer that allows you to adjust the output voltage. 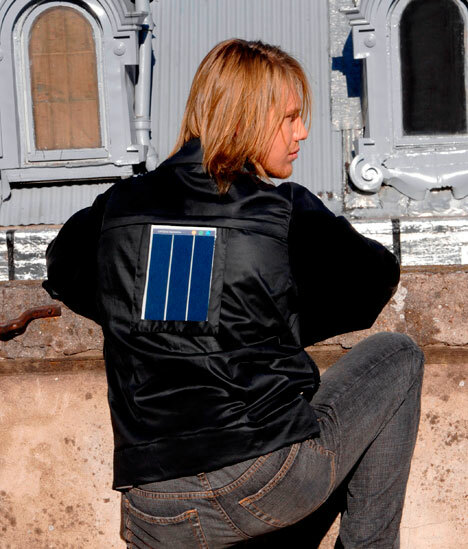 Zegna's Solar Powered Jacket: This cool jacket comes with integrated solar panel, use it to power your mobile gadgets. 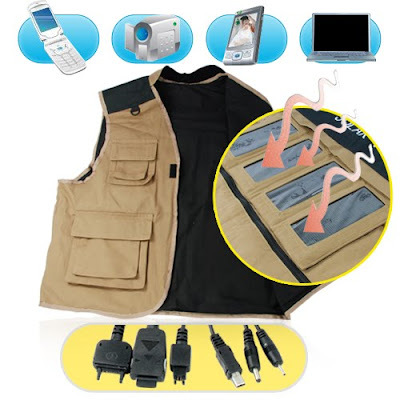 Solar Jacket Recharger: This is a cool combination of fashion and technology. Its a solar power station to keep your smartphone, portable media player, notebook computer, digital camera, and other portable gadgets fully powered while you are working outdoors. 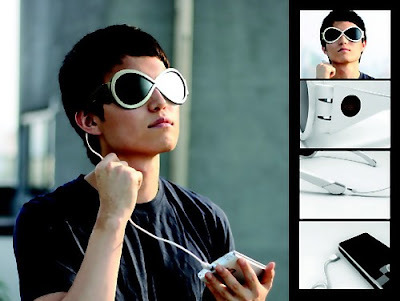 Solar Powered Sunglasses: The lenses of these sunglasses collect energy and are able to power your portable electronic gadgets. 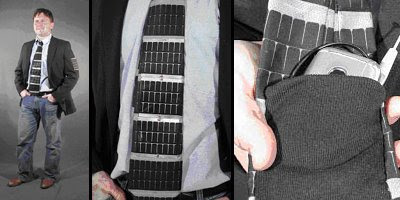 Solar Powered Tie: It's an invention of Iowa State University, it has a pocket to hold your gadgets while they get energized.